​How to find pet-friendly housing in B.C. There’s a shortage of pet-friendly housing in B.C. Renting with pets, and even buying property that accommodates dogs or cats, can be hard in this province. 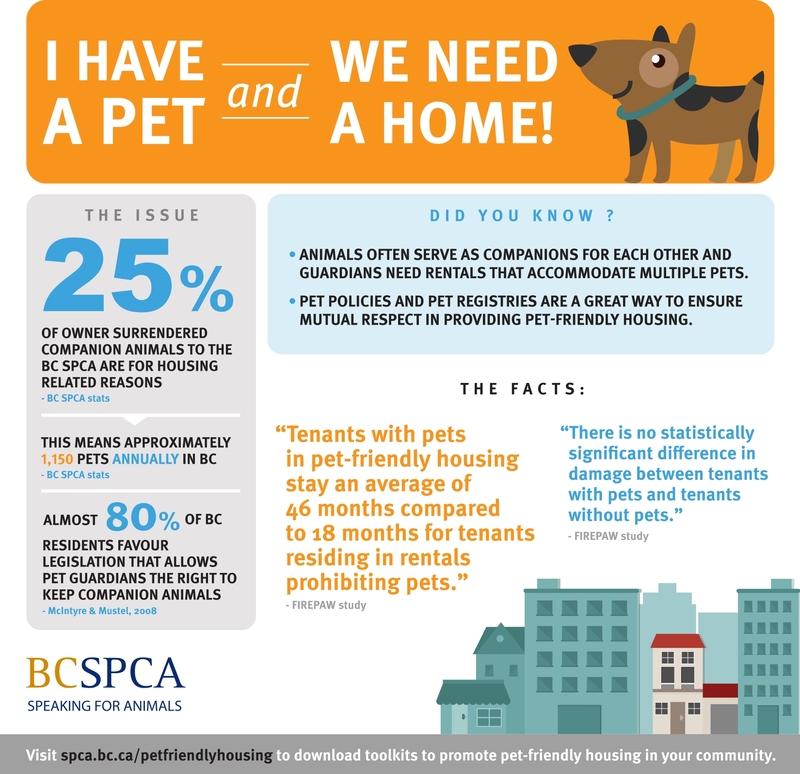 The provincial Rental Housing Task Force requested submissions of suggestions to modify the Residential Tenancy Act through the end of June, 2018. Review the BC SPCA Rental Housing Task Force submission (PDF). These three guides offer resources and assistance for pet owners, property owners/managers and stratas. Want to rent with a pet? This guide (PDF) has template pet resumes, a document that lists certifications, like completed training classes, and qualities, like being quiet, that might be attractive for a landlord) sample rental agreements and answers to your frequently asked questions about renting with pets. Do you own or manage a rental property? 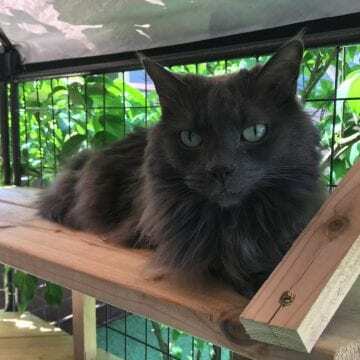 Download our sample rental agreement (PDF) and learn about the benefits of making your properties more available to people renting with animals. Are you on a strata council? Download our strata council guide (PDF) to get sample pet policies, animal registration forms and more. Help spread the message that pet-friendly apartments, houses and rentals are a great idea by sharing this infographic on your social media page. Finding a dog-friendly apartment or a cat-friendly condo can be a challenge. Pairing these tools with friendly, open communication with potential landlords or stratas can help you find a home for your whole furry family.